This is bad news. 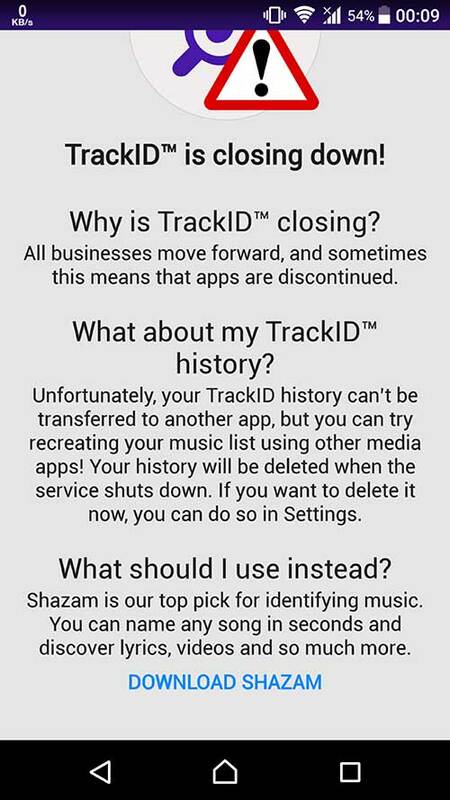 Sony Mobile will be shutting down their TrackID servers permanently in on 15 September 2017. 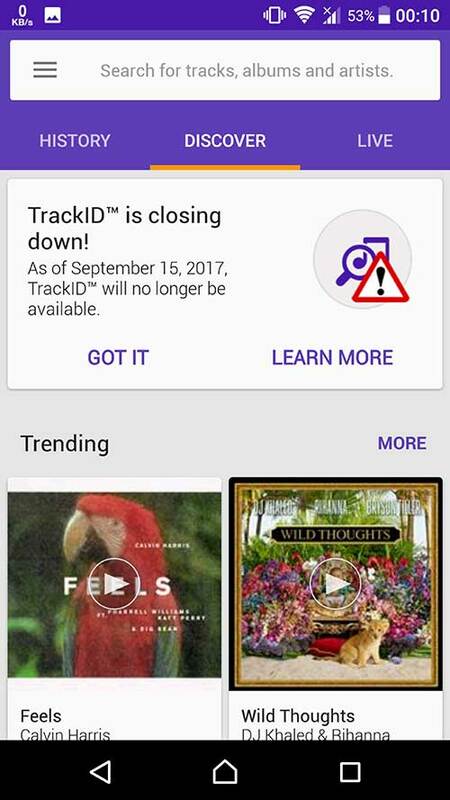 This means that after 15 September TrackID app will not be working. The reason for the shutdown has been still not announced. 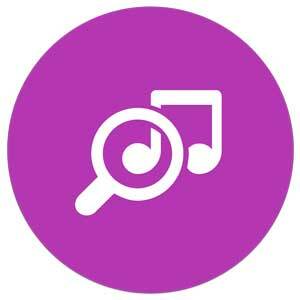 But Sony simply says "all businesses move forwards, and sometimes this means that apps are discontinued". Also now this means your TrackID history will also be lost after this date. It is recommended to backup the history somewhere else. Those who used and liked TrackID now they can use Shazam instead of TrackID for recognizing music.You still have 2 and half months to use TrackID. What do you think about the decision ?.